Improving your healthcare experience with Vocera Communications, Inc.
Dr. M. Bridget Duffy, the Chief Medical Officer (CMO) of Vocera Communications, Inc., which provides integrated, intelligent communication that address critical communication challenges within healthcare and other mission-critical industries joins eHealth Radio and the Health Care and Technology Channels. Can you tell us a little bit about your background and what led you on this mission to disrupt the status quo to humanize the healthcare experience? How do communication technologies like Vocera contribute to your mission to improve the healthcare experience? What do patients and family members need to know to improve their healthcare experience? As the founder of the Patient Experience Movement, what are some experience innovations or strategies that you have seen or developed that are humanizing healthcare? You have described humanizing healthcare as an industry movement. Who should be leading this movement in hospitals and health systems, and what is the role of the patient and family voice in this movement? I understand that in addition to being the CMO at Vocera, you play a prominent role in the company’s collaborative research subsidiary the Experience Innovation Network. Can you tell me more about this group and what they are doing to improve medicine for the better? M. Bridget Duffy, MD, is the Chief Medical Officer (CMO) of Vocera Communications, Inc., which provides integrated, intelligent communication that address critical communication challenges within healthcare and other mission-critical industries. 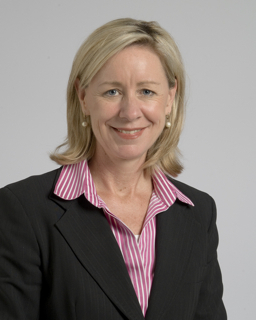 Prior to her appointment as CMO at Vocera, Dr. Duffy co-founded and served as Chief Executive Officer of ExperiaHealth, a company whose mission was to assist organizations in rapidly improving staff and patient loyalty through innovative technologies and solutions that restore the human connection to healthcare. ExperiaHealth was acquired by Vocera Communications and now drives the company’s thought leadership and research as the Experience Innovation Network. Dr. Duffy was an early pioneer in the creation of Hospitalist medicine and launched programs to accelerate clinical discovery in the field of Integrative and Heart-Brain medicine, helping establish the Earl and Doris Bakken Heart Brain Institute. She previously served as Chief Experience Officer (CXO) of the Cleveland Clinic – the first senior position of its kind in the nation – leading the institution in improving patient experience as its top strategic priority. She is a frequent speaker on the subject of why patient experience matters and how it impacts clinical outcomes. Her work has earned her the Quantum Leap Award for taking the risk to spur internal change in her field and has led her to be featured in HealthLeaders magazine as one of “20 People Who Make Healthcare Better.” Dr. Duffy attended medical school at the University of Minnesota, and completed her residency in internal medicine at Abbott Northwestern Hospital in Minneapolis, Minnesota.